Eat healthier, get more exercise and read more. We hear about the same old resolutions New Year after New Year. So I asked Scouting magazine readers for their BSA-focused resolutions for the new year. Here are 10 of my favorites. Derek B. wants to “recruit even more Cub Scouts to our program this coming year,” he writes. For pack and den recruiting resources, go here. What is JTE? Excellent question. Jerome K. wants to take Wood Badge, Scouting’s excellent training course for adult leaders. Why? “To be a better-educated leader for my 14 scouts in my den,” he writes. Robin D. and Cristyn K. have already finished the in-person portion of Wood Badge and now want to finish their tickets. What’s life like before, during and after Wood Badge? I’m glad you asked. Read about one Scout dad’s quest to lose 75 pounds and hike with his son at Philmont. Heather B. wants to “encourage and enable my sons to finish those last three Eagle-required badges,” she writes. For ideas on helping Scouts reach Eagle before time runs out, click here. How do you find time for Scouting, family and your busy life? Read these tips. Read this beginner’s guide to the patrol method. David C. has 50 Scouters attend his district’s monthly roundtable but wants to increase that number to 100 Scouters per month. Wow! For ways to increase roundtable attendance, go here. To learn more about the big Scouting celebration in West Virginia, go here. 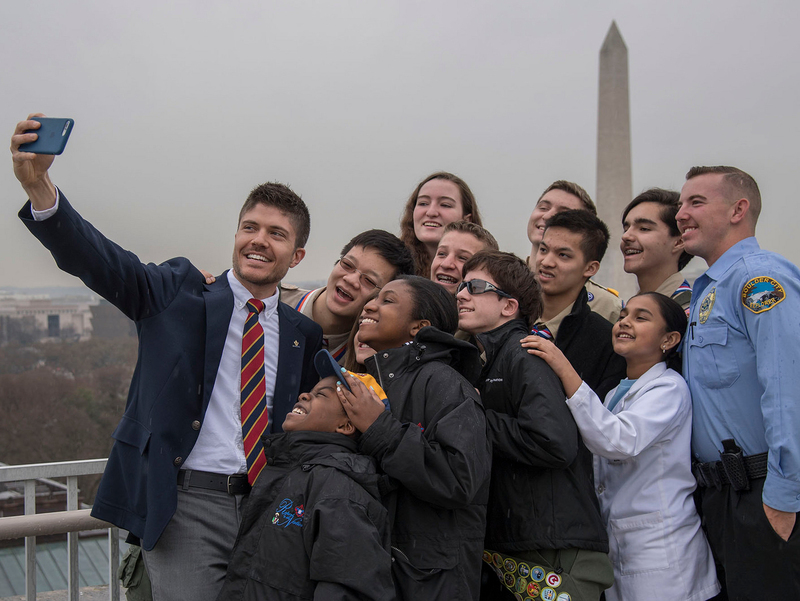 Todd S. wants to “help the Sea Scout Ships around us grow,” he writes. Mark M. wants to grow his crew and start a council Venturing Officers’ Association. For the latest Sea Scout news, be sure to check out the Sea Scout website. Venturers and Venturing leaders, you have a new website, too. What’s your Scouting-related resolution? Leave a comment below, and best wishes in the new year. Top photo: From the January 1950 issue of Scouting magazine.